He's the World's Largest Athlete, a true ring titan reminiscent of Andre the Giant and one of the most dominant forces in the history of the WWE. He displays a unique blend of awe inspiring power, a devastating punch and occasionally, a surprising sense of humor. 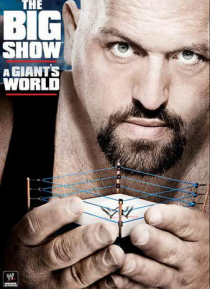 Now, for the first time ever, viewers can learn the true story behind the man in Big Show: A Giant's World.